According to LIFE Foundation, 85% of Americans say most people need life insurance but only 62% have any coverage. We are appointed with a number of quality life insurance companies that allows us the capability to provide our clients the best life insurance product for their individual or business need. These companies have quality products including term life insurance, whole life insurance, and universal life insurance. There are different reasons that people purchase life insurance. They range from the personal needs of funding final expanses, providing a replacement of income if the person dies too early, guaranteeing a college education for children or grandchildren. Life insurance can also be used for business needs with examples of funding buy sell agreements and key person insurance. According to the Federal Trade Commission funeral costs can easily exceed $15,000. But Social Security only pays a lump sum death benefit of $255 to qualified individuals. 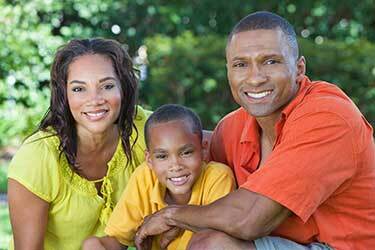 Life insurance can provide peace of mind to family members left behind. The income tax benefit of life insurance provides cash to families that help pay for funeral and other final expenses, help pay off mortgages or other debts and help provide an ongoing income to survivors so they can maintain the standard of living they enjoyed before the death of the insured. Product changes, changes in interest rates and the fact that we are living longer, it is recommended that we review our life insurance at least every two years. We offer a free service that will review your insurance needs and make sure you are taking advantage of the updated products available.